The holidays are right around the corner (though the weather in Calgary would lead you to believe otherwise), and we all have that one person who’s impossible to buy for. 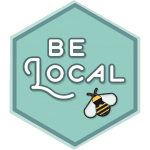 Once again, we’ve come up with a list of businesses and friends from our community to keep your money in Calgary through ur buy local gift guide. Alberta Apparel– A myriad of tops and hats designed in Alberta with influences from its scenery, wildlife and crest, Alberta Apparel is a patriotic homage the whole family can wear. The fabrics used are sustainably-farmed bamboo, organic cotton, and merino wool and are cut and sewn in Canada and screen printed and/or embroidered right here in Calgary. Alora Boutique– This family-run jewelry business is known for its generous nature and symbolic designs. 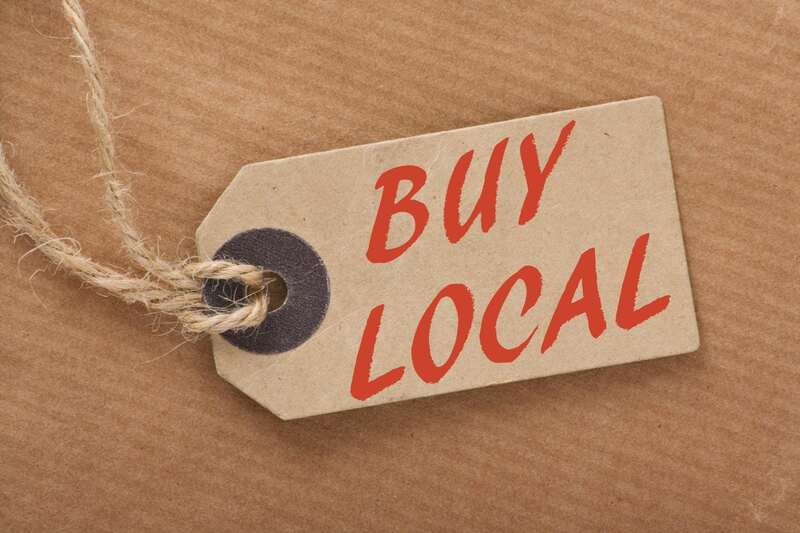 With every purchase, Alora Boutique donates 5% of the proceeds to local charities that support women. This holiday season, they launched the Diane Co llection, curated by a Calgary woman who’s overcome extreme trauma and adversity. The Diane Collection symbolizes her strength and bravery, and $10 from each piece will be given to The Mustard Seed. Awakened Project– This line of bracelets supports female entrepreneurs. Started by Calgary’s Catherine Bell in partnership with an Edmonton artist, they created a series of gemstone bracelets – where each gem means something powerful and inspiring – from which 50% of revenue will go towards a fund to help kick off women’s entrepreneurial dreams. 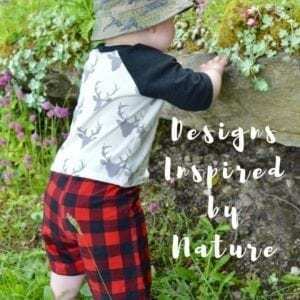 Balsam Clothing- A collection of hand-sewn clothes for babies and children, inspired by nature and using only eco-friendly dyes and fabrics. The “Grow with me” design ensures the little ones who wear it will get to keep it longer. Online orders may be closed, but you can follow Balsam Clothing on Instagram to keep up with their market presence. Bloom Kids Essentials– Formerly known as Girl Gotch, this business was started by parents who saw flaws in how kids’ underwear (specifically girls) were made and fit. Bloom Kids Essentials are made with eco-friendly fabrics and designed with comfort, function, and sustainability in mind. Good Trade Coffee Co.- Alberta’s first not-for-profit coffee company, Good Trade Coffee Co. supports farmers in rural Latin America (Columbia in particular) living in poverty and empowers them to succeed through education and sustainable farming practices before exporting their coffee beans. 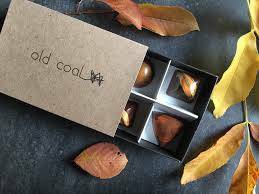 Old Coal– Probably the only coal your loved ones would like to see in their stocking, Old Coal is an artisanal chocolate company committed to only using fair-trade and ethical ingredients – including the likes of Chinook Honey Company and Eau Claire Distillery. 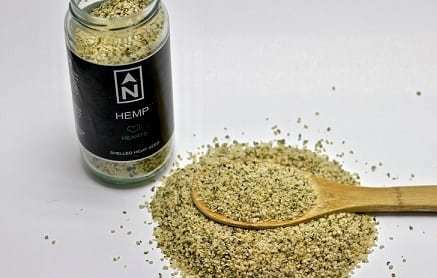 Stresscase– A different kind of subscription box, Stresscase delivers monthly offerings (many are from Calgary businesses) to promote self-care for anyone affected by mental health struggles. The Christmas box’s theme is Lasting Positivity, and features such items as a crystal-laden bath bomb, a sage smudge stick, and a Lowen’s lip balm. TreeEra– You know what’s hard? Planting trees. What’s not hard is buying a wood bead bracelet, a bag of Tall Timber coffee, or an embroidered patch from TreeEra. Each item plants trees in Canadian forests on your behalf (bracelet: three, patch: five, and coffee: one) to improve our carbon footprint. 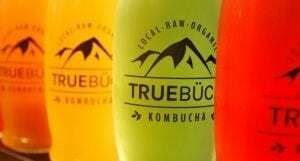 True Buch– Kombucha is a popular product these days, and True Buch does its best to stand out using only local produce and teas to create their bubbly beverage. True Buch can be purchased in growler form, or single-serve bottles. Dubbed “the bottle that gives back,” the single serve bottles each contribute proceeds to four non-profits: Pet Access League Society (PALS) – which offers pet therapy to children in need; Leftovers YYC – which diverts unsellable food from restaurants and grocery stores and gives it to the hungry; REAP’s Community Orchards – a program by REAP Business Association that plants fruit-bearing trees at Grow Calgary to feed the needy; and Wymbin – which provides free yoga programs to underprivileged children. 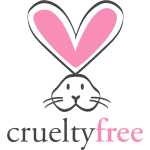 My Petite Box – Last but never least – My Petite Box is a monthly box subscription based in Calgary that we recently found out about. Each month, as a subscriber, you get to discover the amazing products from one local business with a trendy surprise of hand selected products. Curated Calgary awesomeness each month…sounds pretty good to us! We at Lowen’s wish you all a happy and safe holiday season!